Most people are well aware of things that can raise a person’s risk of cancer. Stress, a poor diet, exposure to toxins and radiation, smoking, excessive alcohol consumption, that kind of thing. But new research now shows that there’s another, all too real risk hiding out in your mouth. A study published this year in the Journal of Cancer Epidemiology found that women with periodontal disease are 14 percent more likely to develop cancer than those with a healthy set of teeth and gums. The study, which included a whopping 65,869 women aged between 54 and 86 years, found strong associations between periodontal disease and several types of cancer, including breast cancer, esophageal cancer, lung cancer, gallbladder cancer and skin cancer. Six years earlier, a letter published in the Journal of Pharmacy and Bioallied Sciences explored the literature and found similarly strong linkages between oral health and cancer in many studies. ► See also:GUM BLEACHING: What is Gum Bleaching (Gingival Depigmentation)? 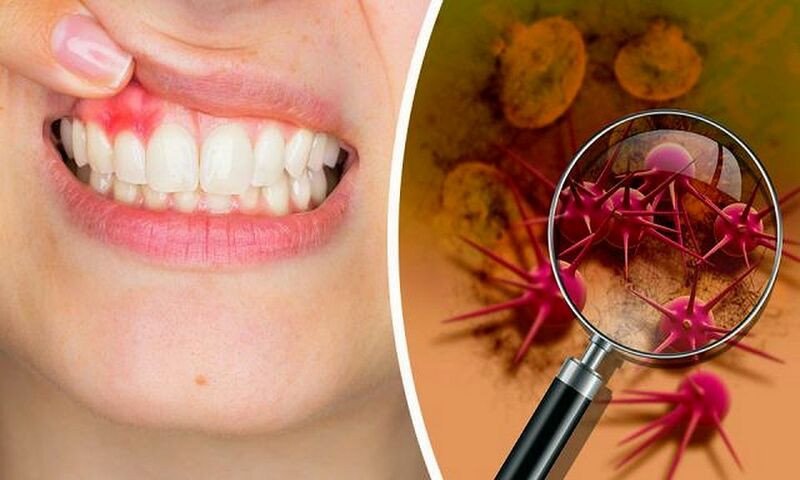 The oral inflammation that occurs as a result of periodontal disease then enter the bloodstream, greatly increasing the host’s risk of developing different forms of cancer. In a nutshell: if your oral health is lacking, your risk of cancer goes up. So how can you tell if you’re at risk? What are the oral warning signs to look out for? Read on to find out more. Periodontal disease, more commonly known as gum disease, is thought to be caused by a buildup of plaque on the teeth and gums. Plaque, which is made up of bacterial colonies that latch onto the porous surface of the tooth, builds up over time and can eventually lead to inflammation. As the inflammation spreads, gingivitis develops as the gums become swollen and more prone to bleeding. With time, gum recession and increasing tooth porousness allow more food and foreign matter to lodge in the oral cavities of the mouth, setting in motion a vicious cycle of infection and inflammation that soon begins to impact the body as a whole.